The history of attempts to quantify a relationship between fluid flow in closed conduits (whether it be in a packed conduit or in an empty conduit) and the relevant variables governing that relationship dates back at least to the work of Darcy in 1856. Since that time a host of models have been proposed with their accompanying array of equations, each of which has its own limitations and restrictions. Accordingly, the scientific literature is replete with reports of experimental results aimed at trying to resolve the many discrepancies which litter the fluid dynamics landscape. In fact, the field is in such disarray that no one can use any currently accepted theory of fluid dynamics to define a solution to the much touted Navier-Stokes equation. This author has devoted his entire career to doing fluid flow measurements, predominantly in packed beds relating to the field of HPLC. Rather than nibbling at the fringes of this complicated field of study by trying to manipulate one of the currently accepted theories, a completely novel approach was developed. The result of this effort, which took approximately 20 years to complete, was a universal theory which applies to all fluid flow embodiments, regardless of whether they contain particles and regardless of the flow regime in which they are operated. This model, which we refer to as the Quinn Fluid Flow Model (QFFM), has been developed from first principles and is different from any other model currently extant. . Moreover, it has been validated by testing it against a host of generally accepted experimental data reported in the literature, as well as this author’s own measurements. A comprehensive list of the various studies used in this task are listed below. The dimensional manifestation of the QFFM is a very complex equation containing many independent and dependent variables and is the properly formatted version of the continuity equation for fluid flow in closed conduits. 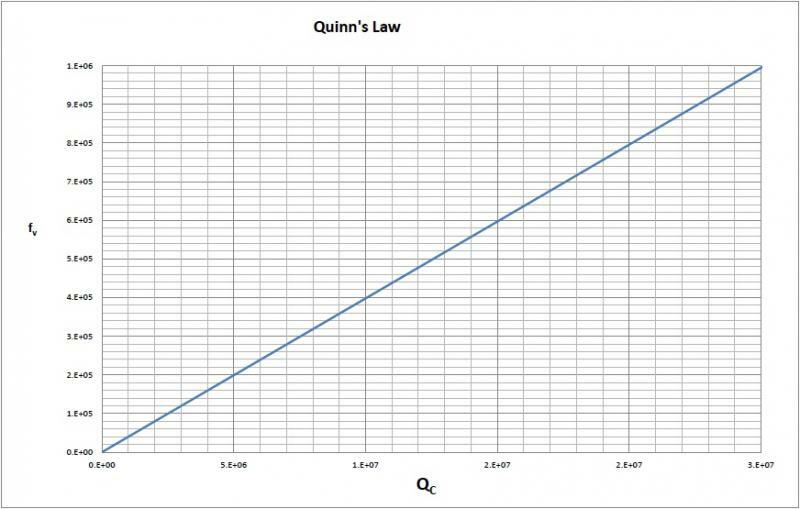 In addition, there is one dimensionless manifestation of the QFFM which we refer to as Quinn’s Law. It is a simple linear relationship between the reduced pressure gradient and the reduced fluid flow current in a closed conduit. In contrast to the complex “Law of the Wall” which is generally accepted as the best description of the fluid flow environment that the conventional theory of fluid dynamics has to offer, Quinn’s Law is very simple. It has just two variable parameters. More important, it is valid over the entire range of the fluid flow regimes, providing analytical solutions in laminar, transition and fully turbulent ranges of fluid flow. For the first time, there now exists a “meter stick” for any fluid flow experiment which identifies all the relevant variables associated with that fluid flow environment and which dictates an unique solution for any properly-formatted experimental protocol. This, we believe, will be a delight to practitioners because they can apply our meter stick to evaluate the quality of their experiment and, hopefully, improve their methodology/technique until they get it right. Moreover, practitioners will no longer have to avoid the transitional region of the fluid flow regime because it supposedly is a “gray area”. On the other hand, applying Quinn’s Law in its dimensional manifestation is not always straightforward. Accordingly, TWG offers the service detailed below such that any practitioner, regardless of his/her mathematical skill level, can take advantage of this revolutionary advance in the understanding of fluid flow in closed conduits. In carrying out these reviews, we fully understand that applying the QFFM to any particular experiment will simply identify an outcome as valid or invalid; if the model identifies reported results as being invalid, It will not necessarily identify the cause or causes of the experimental error. Wherever possible, however, our staff will use its experience in this field to offer suggestions as to what we think is probably the source of the discrepancy in the experimental protocol under study. In some cases we will not be able to determine with any specificity where the discrepancy originates, but we hope that the authors of the paper will revisit their work and, in the light of the application of the QFFM, attempt to figure out where the problem lies. In either scenario, we invite authors of the reviewed papers to contact us to discuss our findings and we will be happy to share our thoughts on the issues presented and provide guidance as to how the published results might be brought into conformity with Quinn’s Law. In this way, we believe we will be providing a valuable service to the authors of the paper under review so that they can publish an errata or correction in their journal of choice, if they have a mind to. 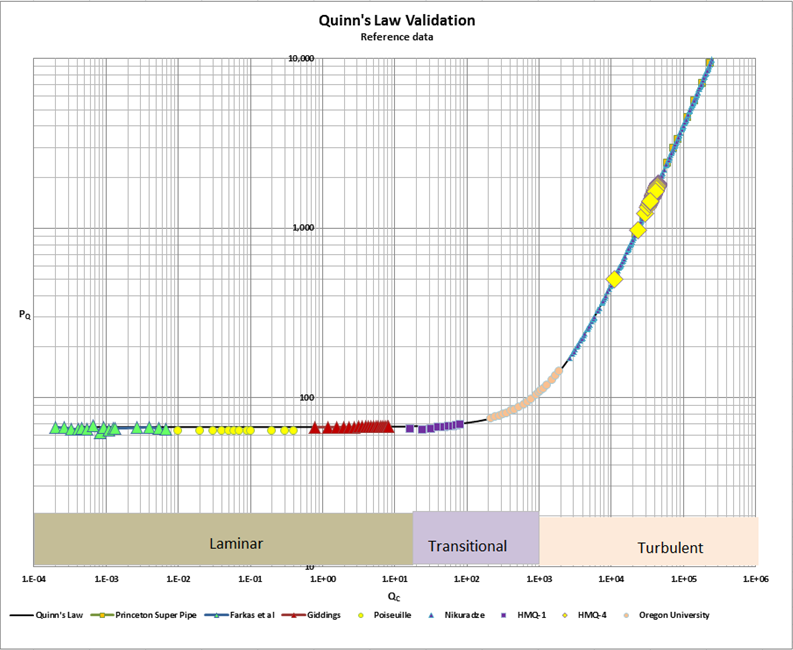 Perhaps more to the point, we believe that we will be adding to the body of evidence which validates the QFFM and which will eventually result in the consensus that we seek within the scientific community that Quinn’s Law is indeed a fundamentally new – and the correct – paradigm in this field. The Table below lists all the studies used to validate the QFFM. 36. Cruz et al. 37. Moutsopolous et al. 38. Trahan et al. 1﻿. Satmenic et al. 2. Cabooter 1 et al. 3. Gritti 1 et al. 4. Cruz 1 et al.